The body is a wondrous thing, just in case you had forgotten or have yet to create consciousness around that fact. It is a well-oiled machine when we treat it with the respect it absolutely deserves. I’m a great fan of the CSIRO Total Wellbeing Diet. It focuses on whole food, hydration and offers a range of snack ideas, so you never feel like you are missing out. Check it out at – CSIRO Diet. Given you consume a nutritionally balanced diet and are well hydrated, the next step is movement. Anything that gets you moving is a good activity. Here’s some ideas: walking, swimming, cycling, dancing, gardening, golfing, weight training, tai chi, water aerobics. If nothing really takes your fancy, simply start walking. When you move, your body releases endorphins, the body’s natural happy chemical. These endorphins interact with the receptors in your brain that reduce your perception and/or feelings of stress. Simply put, the higher your level of endorphins, the greater your sense of calm and well-being. No wonder moving makes you feel so good. 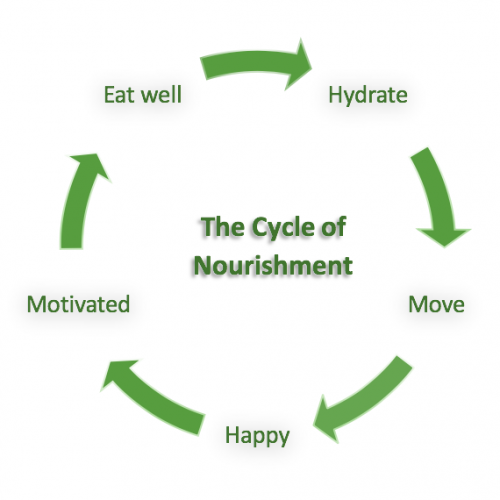 The cycle of nourishment sums it up beautifully. This is one iterative action that has a very positive outcome on your well-being. P.S. 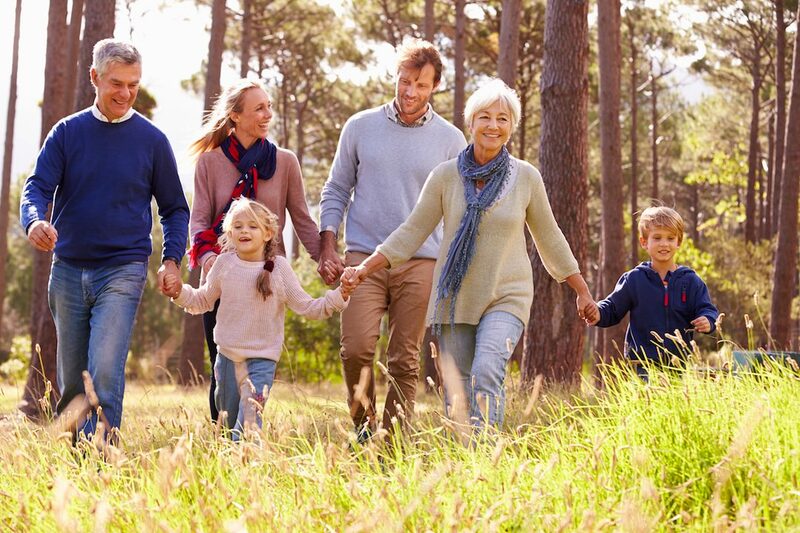 If you join a walking group you will also reap the benefits around your social well-being.